Delicious combination of well-marinated pork and crunchy water chestnut. 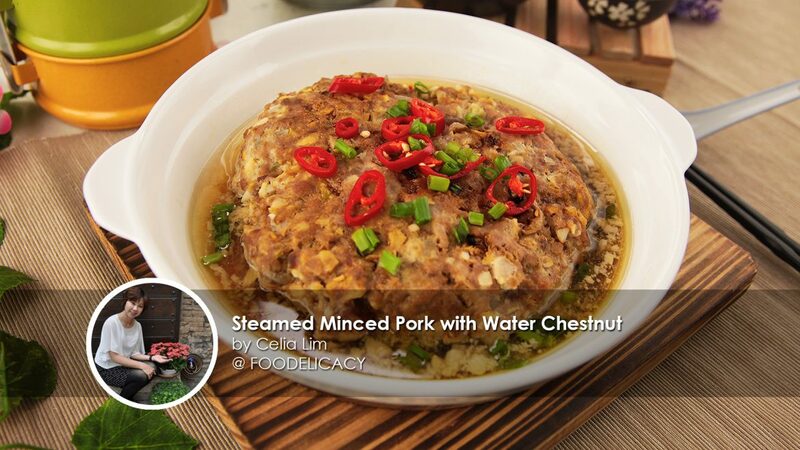 This Steamed Minced Pork with Water Chestnut 咸鱼马蹄蒸肉饼 recipe is shared by food blogger Celia Lim from FOODELICACY. This is one of the most popular recipes on her website and it's a dish that people of all ages would enjoy. In this recipe, we made it healthier by using lean meat. The salted fish and preserved cabbage adds umami and brings the flavour of the dish to the next level. Whereas the water chestnuts give the dish texture and a refreshing crunch. For this dish, you can choose to serve it with rice or even congee - the taste is irresistible! For those who love this recipe, you can use the meat mixture and make it into meatballs, place it in soup or use it as wonton filling. 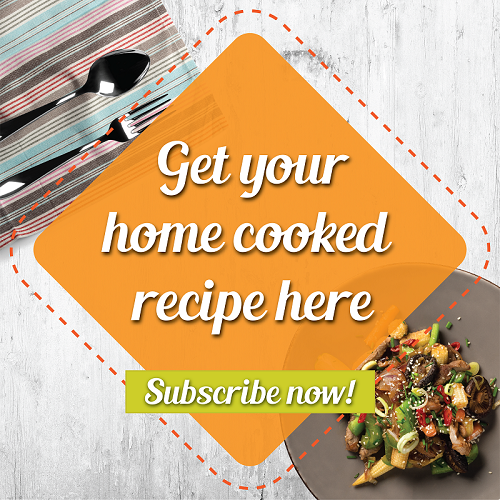 In a mixing bowl with pork, add in light soy sauce, sesame oil, corn flour, salt and pepper. Mix well. 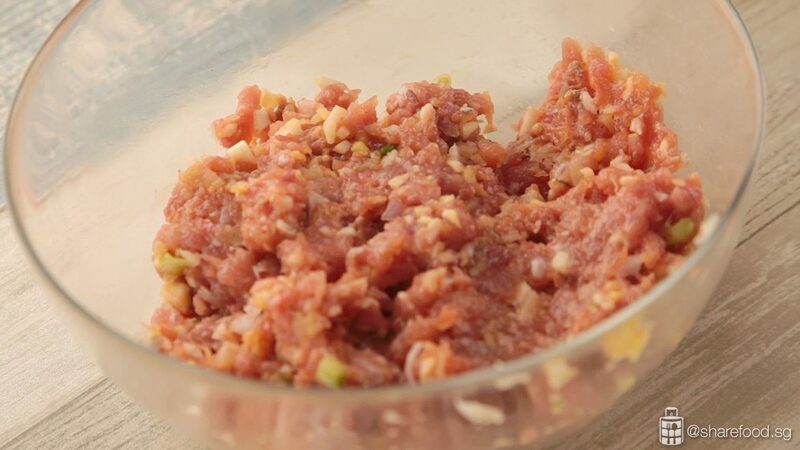 Next, add the remaining minced ingredients and mix until well combined. Add egg yolk and mix meat till it forms together in a slightly sticky, mushy paste. In a heatproof dish, coat the base of the dish with 1/2 tbsp of the shallot oil. Place the pork mixture into the dish and flatten it using the back of a spoon. Leave at least a 2-cm gap from the edge of the dish, as the pork patty will release juices when steamed. Drizzle another 1/2 tbsp of shallot oil over the patty. Fill a wok 1/4 full with water and place a steaming rack in the wok. Ensure that the water level does not go higher than the steaming rack. Cover and heat the water. Once water is boiling, place the heatproof dish on the steaming rack. Steam the dish for 10 to 12 minutes, or until meat has cooked through. Test the doneness of the pork by poking a chopstick into the center of the patty. If the chopstick comes out clean, it's cooked. When the meat is cooked, remove from heat. Combine light, dark soy sauces and shallot oil in a small bowl. Drizzle evenly over the patty to add flavour, as well as enhance the colour. Garnish with chopped spring onions and sliced red chilli. Best to be served immediately.